The long awaited first book signing event has come and gone. If life has its anti-climactic moments, this was one of them. 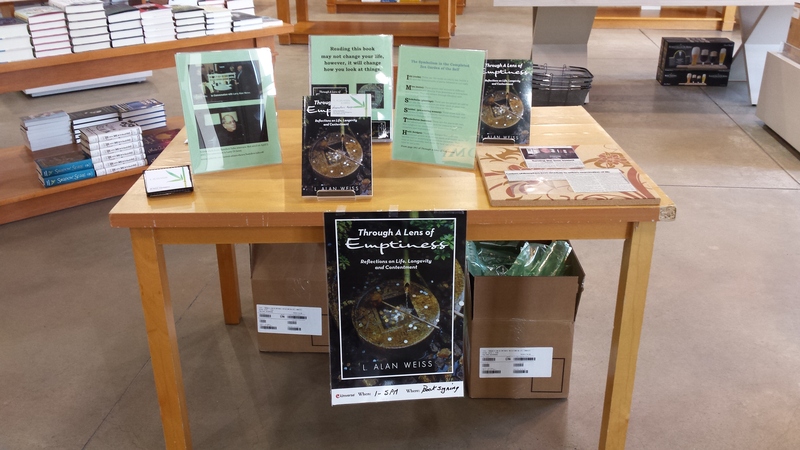 I contracted for the book signing event at the end of March (’15), about five weeks after the official release date of Through a Lens of Emptiness. By then, the first available in-store event date was May 30th, not exactly prime book shopping time, but not the worst. At least it wasn’t a date in mid-July when most families are on vacation and the store will be essentially empty. As I was soon to learn, along with the time of year, the weather is another important factor in modulating the number of people frequenting bookstores on a given day. The weather forecast for the day of the event predicted an advancing cold front with the possibility of heavy rain and thundershowers. The only question was timing. By noon on Saturday, May 30th the cold front had not yet arrived. It was generally a warm sunny Saturday on the last weekend in May and the traffic in the bookstore would likely be sparse. Unseasonably cold with drizzle would have been better. However, hope springs eternal and a positive frame of mind was the order of the day. 1. 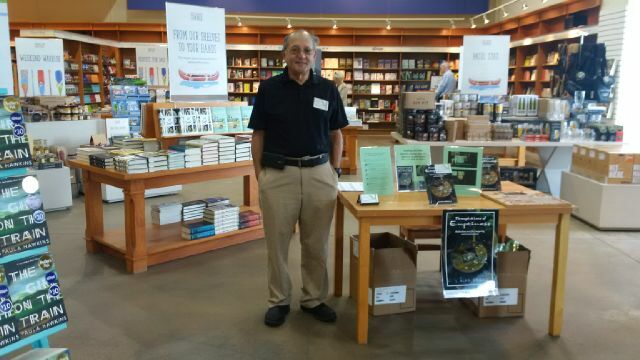 When traffic in the store is low few people will come over to your book signing table. 2. When you are an unknown author, don’t expect too many visitors. 3. If your book is a non-fiction niche item, it might not draw much attention without a clever attractor. 4. Most people who come into a bookstore have a specific target book or genre in mind and will search for that target rather than investigate your offering. 5. Those who come over to talk to you usually have a leaning toward the content of your book already. 6. There are many books for the bookstore visitor to consider and distract him or her from your book. The only difference is that you happen to be standing near your book, but it is no different from the bookstore browser’s point of view. 7. Another negative for signing event relates to what else is available for purchase in the store. If it has many gift items available for purchase as well, they will be a distraction for sure. There were three interesting visitors to my table that afternoon. 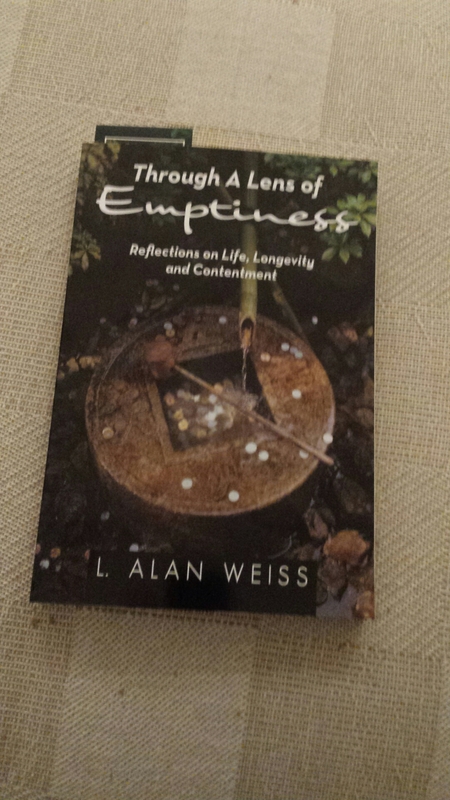 One visitor was a regular follower of Buddhist teachings and was attracted to the word Emptiness on the book’s cover. She actually bought a copy and took a business card with her. Before leaving my table, she spent some time talking to me about the importance of mindfulness in everyday pursuits. The second visitor talked a bit about the book and took a business card and exited the store. She was observed contemplating my business card and returned for further discussion, but did not purchase a copy at that time. The final visitor talked with me a bit and was also interested in the fact that we lived in the same rural neighborhood. It doesn’t sound like a very productive book signing, but I got more out the afternoon than the sale of one book. The person who bought a copy of the book suggested another well-established independent bookstore where a signing event was a possibility. It might also be possible to couple the signing event with an author talk. The individual who gave my card and book such careful consideration suggested that a nearby regional library system might accept the donation of a copy of my book and give me the opportunity to speak about it too. 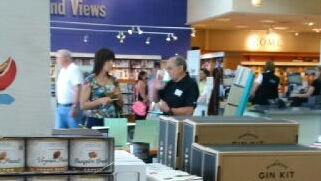 I also appreciated the chance to face the public and field some simple questions about my book and refine my answers. The traffic was light so there was ample time to review each interaction, the sense of the question and the strength and clarity of the answer. By the end of the session, I had a clear vision of the best phrases to describe Through a Lens of Emptiness. · Through a Lens of Emptiness is about a journey of self-discovery in search of contentment. · Through a Lens of Emptiness is about building a legacy of experience, wisdom, and insight to share with others. · Through a Lens of Emptiness looks back at the meaningfulness of a lifetime. When one is engaged in the process of writing, being able to step back and view your work dispassionately and critically is essential. The same is true for understanding the dynamics of interacting with the public and presenting key points related to your book as simply and succinctly as possible. As the marketing process progresses, there will be more, and hopefully better opportunities to present in public. I intend to seek those opportunities as much as possible. As I write this post about my first book signing, I am already seeking to book a second in the fall. I hope to schedule one in late November or early December when books are on the gift lists of many, the weather is not so nice, and the bookstores are full of people. I have been fortunate to receive an invitation to speak to a group of retired professionals about my book. They are interested in the legacy aspect of my writing. I will blog about that experience too. Please visit my author website and my Facebook fanh page too.